First, let your raw milk settle for about 24 hours, the cream will settle on top. i scoop my cream out with a turkey baster. It’s not the most professional way but it works! I put 8 cups of cream into my Dimension mixer at a time and then I whip it. I whip it into the buttermilk and the butter separate and I get clobs of yummy delicious butter. Then I rinse and rinse and rinse it… you want to rinse it clear. 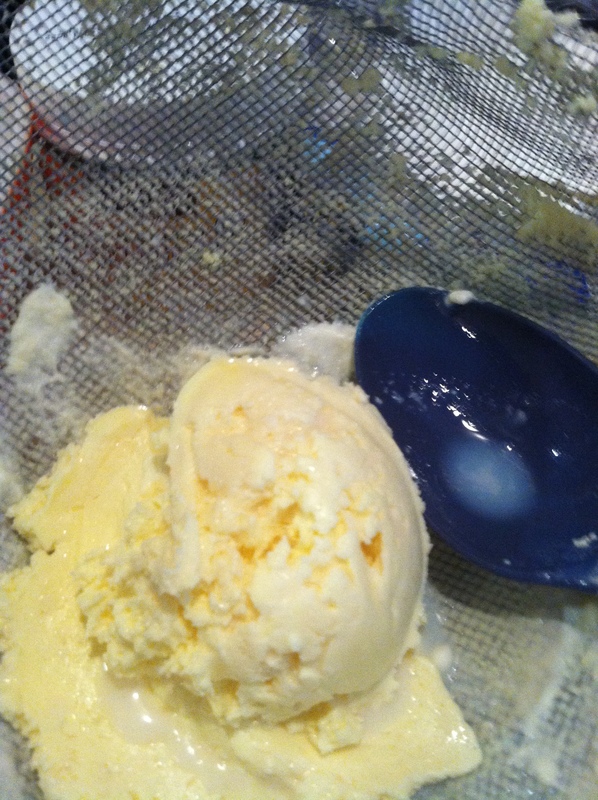 In the above picture, you can see some drops of buttermilk on it and my strainer. Seriously – get all of the buttermilk out. 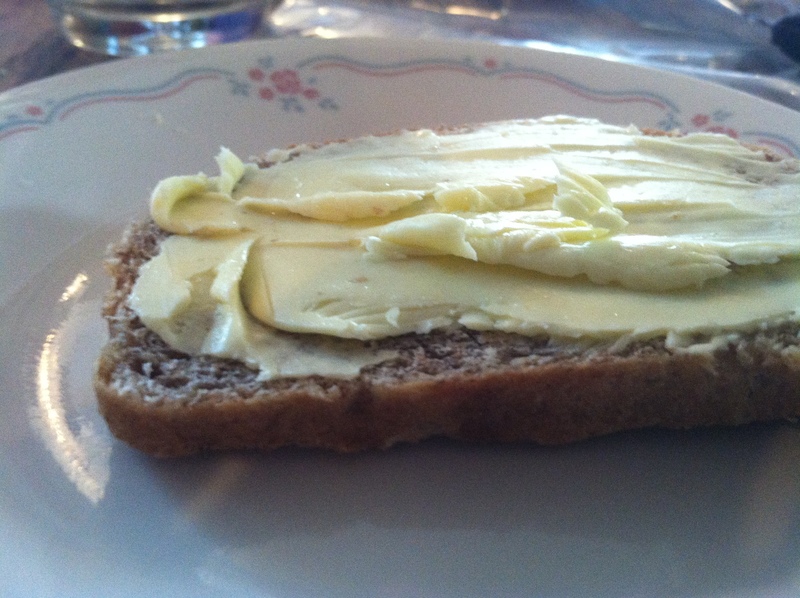 You can then rewhip it at this point with salt if you want salted butter. I usually skip this step. 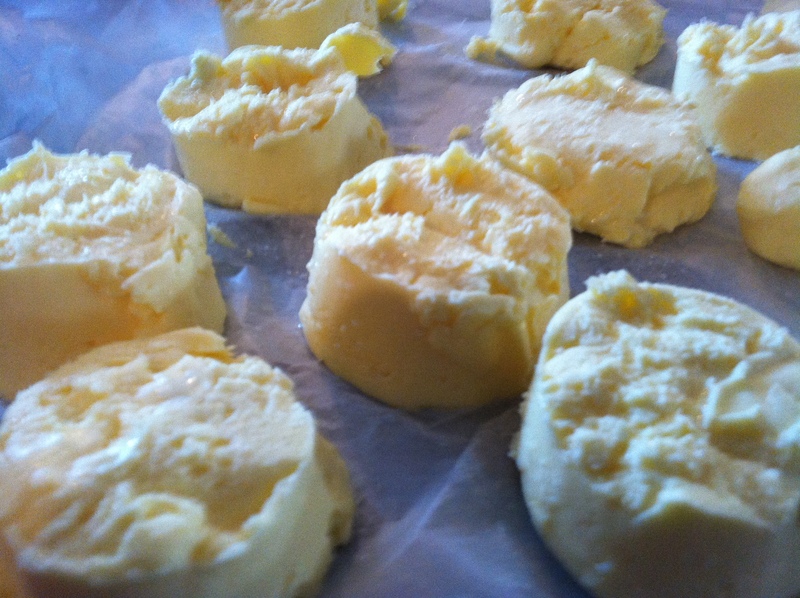 Lastly, I mold my butters into 1/4 cup chunks of butter and place them on a cookie sheet covered in wax paper. I flash freeze these in my freezer and then put them into a container in my freezer where they will store really well. 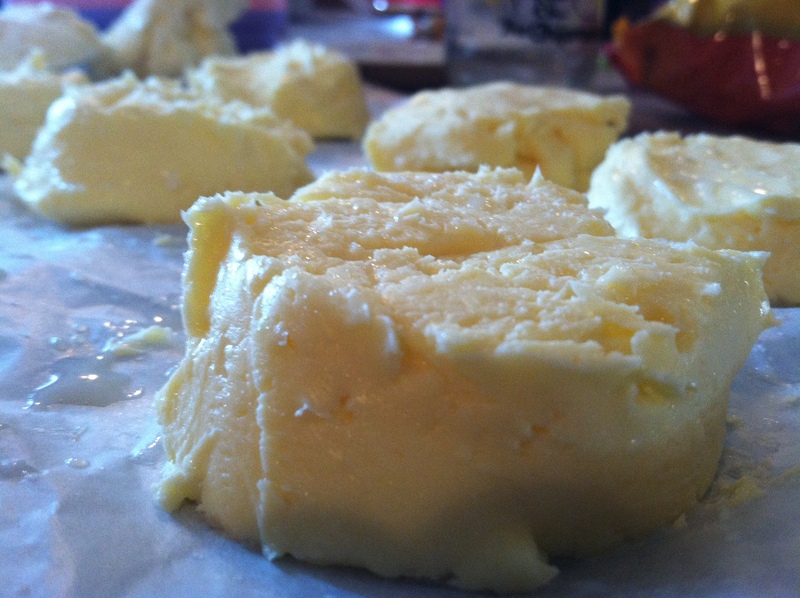 This entry was posted in Uncategorized and tagged #Ilovemycow, butter making by familyplushomestead. Bookmark the permalink.